> Posterous.com is the place to post everything. Just email us. Reposting this, because it didn’t seem to go out yesterday. Posterous seems to have stopped posting out to WordPress, Twitter etc. has been getting about 40 visitors a day, which is good, but very few have contributed to it, which is sad. Most of the visitors seem to be from the USA, where we have relatively few family members. Most of our relations are in South Africa, the UK and Germany. A Wiki is a good place to contribute stories about family members, and notes of their lives and careers, putting flesh on the family history, rather than just the bare bones of genealogy facts. 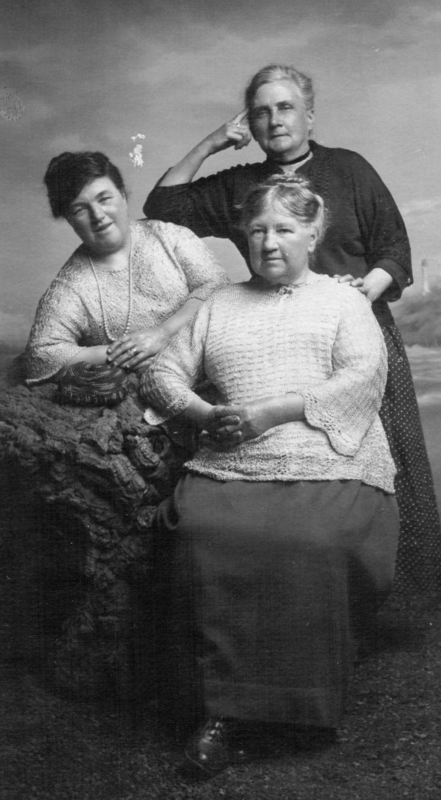 Yesterday I was scanning some family photos and came across one showing three middle-aged women in strange poses. I turned it over, and found I had written on the back who they were — fortunately I had asked my mother before she died, and she said it was her grandmother, Ellen Hannan, and her cousins Bella and Flora Livingston. Ellen Hannan’s maiden name was McFarlane, and her parents were David McFarlane and Emily (or Amelia) Livingston, who were married in the parish of Barony in the county of Lanark in Scotland in 1846. There is some confusion about whether it was spelt Livingston or Livingstone. 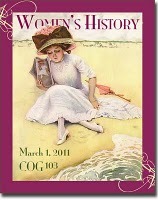 So if these women were Livingston cousins, they must have been children of Ellen’s mother’s brother(s). But we don’t know Emily (or Amelia) Livingston’s parents’ names, so how can we find the names of her siblings, and know that they were her siblings? A bit of scratching around online led me to a family in the Scottish censuses, which I think is the right one — David McFarlane, a calico printer (that fits with what we already knew) and an Emelia McFarlane. Emelia could explain the confusion between Emily and Amelia on the marriage certificate. David McFarlane was born in Maryhill, Glasgow, in about 1816. His grandson Willie Hannan was MP for Maryhill for about 25 years until he retired in 1976. But David McFarlane’s wife Emelia seemed to have been born in Ireland about 1828, which complicates matters somewhat — how do we go about looking for her siblings in Ireland, if they were born of unknown parents? They all appear to have been born in Maryhill. If anyone knows anything more about these McFarlane or Livingston families, please get in touch by leaving a comment or something.